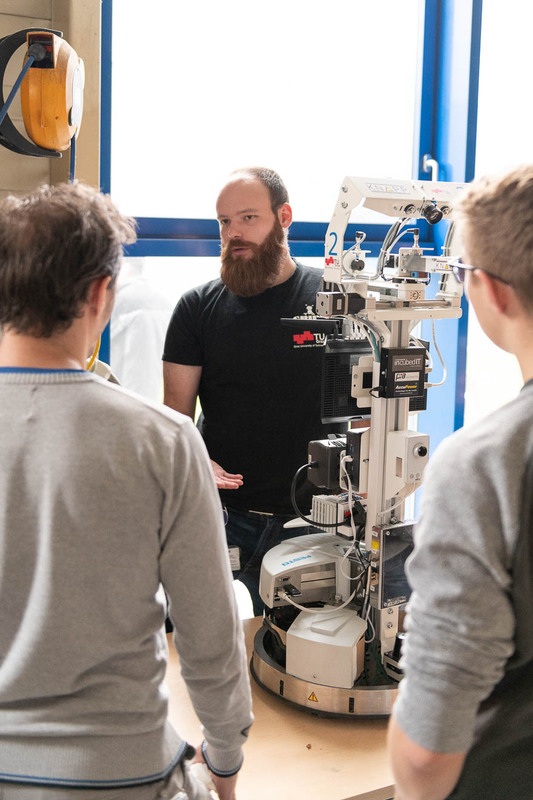 After a rather quiet winter term, which the team used to work on the GRIPS-robots and improve our well-proven techniques, 2019 started off with several interesting events. 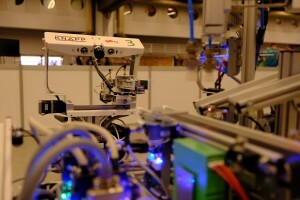 In January, PIA Automation invited GRIPS to present its work at the PIA opening event. 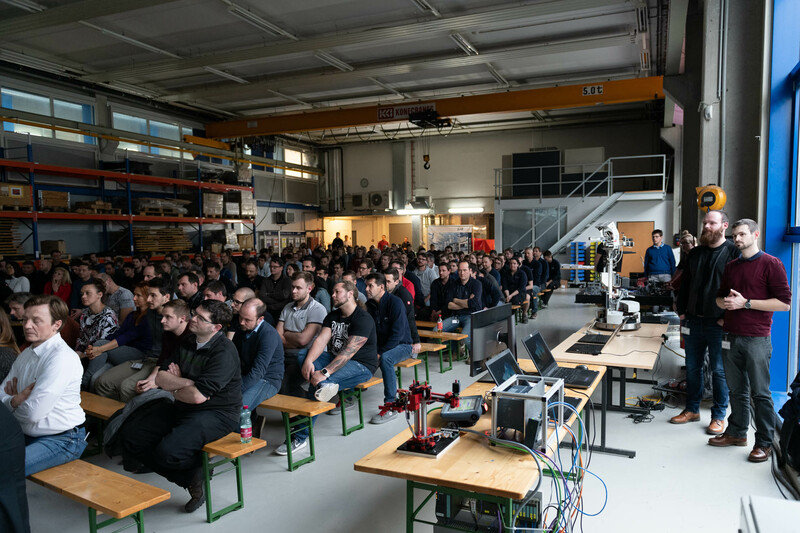 The team’s mentor, Gerald Steinbauer, Thomas Ulz (Team leader) and Jakob Ludwiger were happy to accept our partner’s invitation and presented the team to a broad and interested audience. 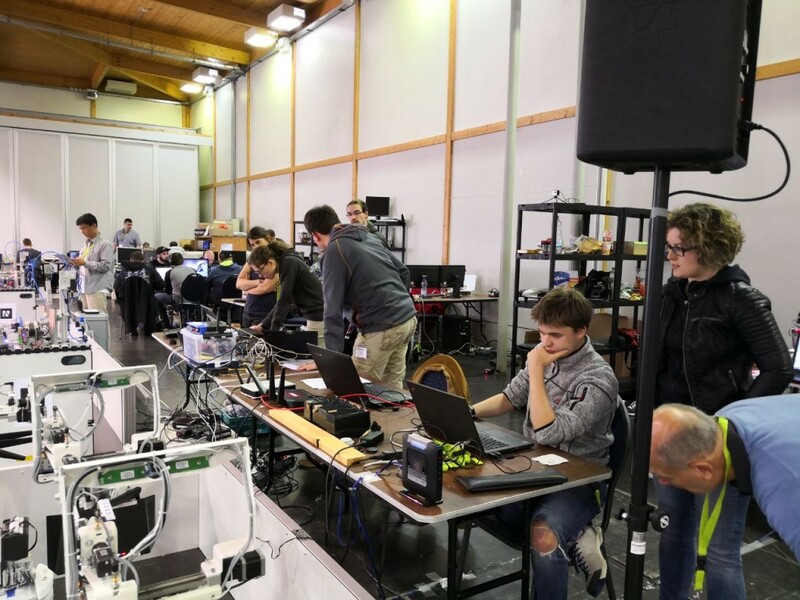 In February, our robots received an upgrade to better fulfil the conditions in the RoboCup competitions and March started off with preparations and arrangements for our first competition in 2019, the RoboCup German Open. The competition will only take place in May, but GRIPS is already working hard and looking forward to implementing the changes to our robots in a competition. 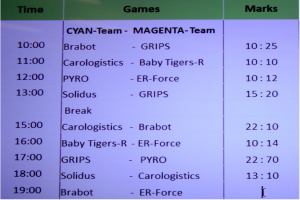 After exciting playoffs, GRIPS faced team PYRO from France in the finals. 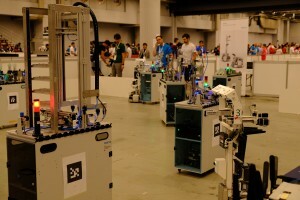 With both teams manufacturing products of medium complexity, the finals were very exciting. With team PYRO scoring 90 points and GRIPS scoring 104 points, the result was very close. GRIPS will now work hard to improve even further and will do its best to defend the world championship next year. 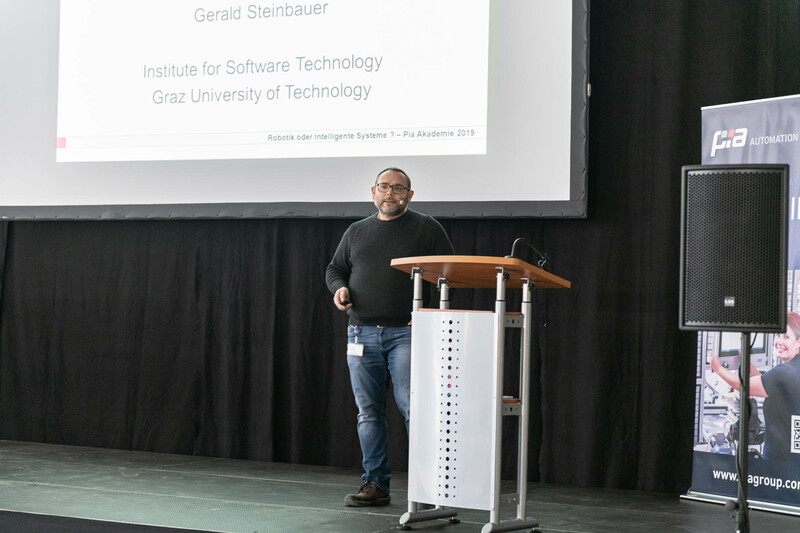 GRIPS would like to say a special thanks to all its partners, namely the Graz University of Technology, KNAPP, incubedIT, AccuPower and PIA Automation, for their support. Congratulations to team PYRO and all other participating teams. 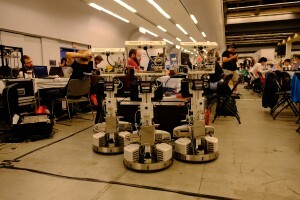 We are looking forward to meeting all teams again at the RoboCup 2019. 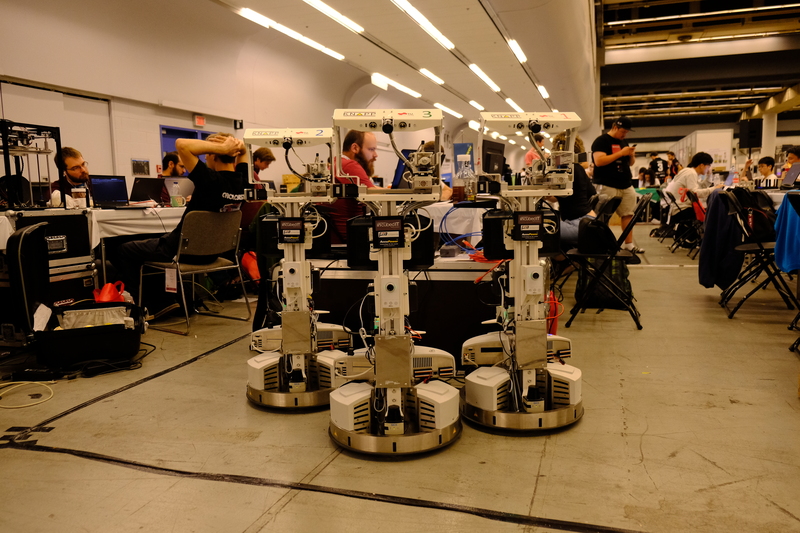 The playoff games of the RoboCup 2018 are now done and GRIPS is proud to announce that we made it to the finals. GRIPS won its first game in the playoffs against team Solidus from Switzerland, although we still faced some issues in this game. After solving most of our problems, we were able to win against the current four times world champion Carologistics from Germany. In this game, we were able to produce our first ever C1, a product of medium complexity. We will face team PYRO, who delivered an impressive performance in the playoffs, in the finals. We are very proud of our achievement and are looking forward to exciting finals. As the last games of the preliminary round are now finished, the schedule for the playoffs is fixed. GRIPS will face Solidus from Switzerland at 2pm and Carologistics from Germany at 6pm. The playoffs will determine whether we make it to the finals which will take place tomorrow. Today’s first day of the RoboCup 2018 competition has nearly come to an end. GRIPS has played three games, winning against team Brabot from Brasil and team Solidus from Switzerland, but unfortunately losing to team PYRO from France. 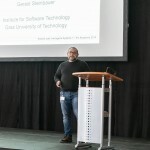 Playing in actual games compared to trial games have exposed several difficulties we still face and problems we need to address. We are currently working hard to solve all problems by tomorrow 9 am for our next game. 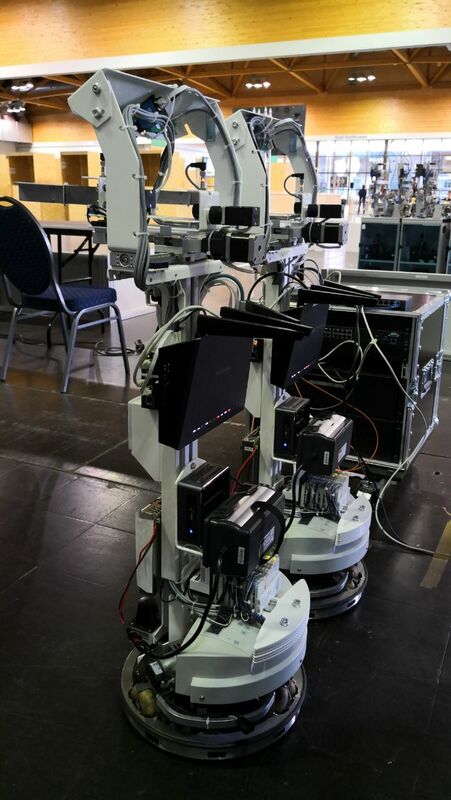 On Saturday June 16th the setup phase of the RoboCup 2018 started and GRIPS has been preparing intensively for the competitions. We have set up our work station in the Palais des Congrès de Montréal, carried out several tests and played some trial games. From Monday June 18th onwards, seven teams from around the world will compete against each other. The playoffs, taking place on Wednesday, will determine the participants of the small and big finals on June 21st. We are looking forward to the competitions and hope to be able to defend our title as vice world champion. 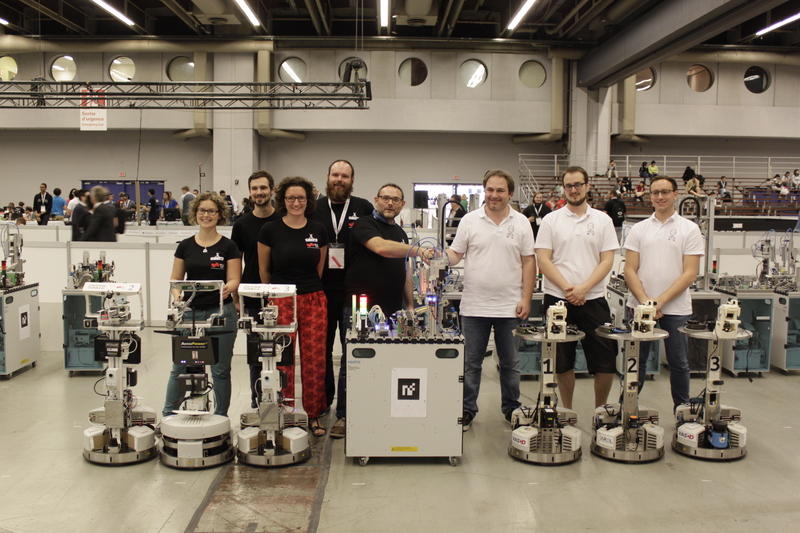 Our RoboCup German Open team: (f.l.t.r.) Stefan Krickl, Thomas Ulz, Ivan Martin, Leo Fürbaß and Sarah Haas. After winning the final round of playoffs, GRIPS got through to the finals. 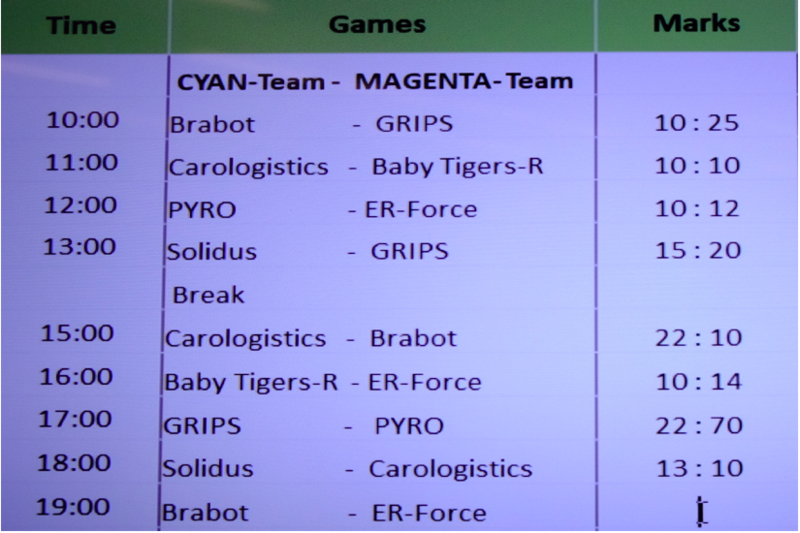 We then competed for first place with Carologistics and it was a close match. 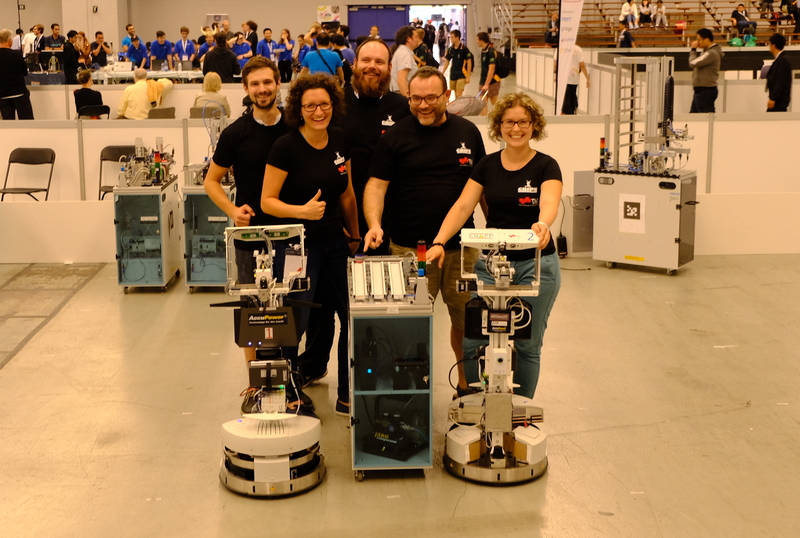 After the competition ended in a 24-all draw in the regular time, Carologistics made 2 points in the last minute of overtime and won the German Open. Congratulations to Carologistics on first place! We are proud to have made it to the finals and to have finished 2nd in very close finals. Our task now is to work hard to improve and do even better at the RoboCup worldcup 2018 in June. Congratulations to our team members on this great achievement! 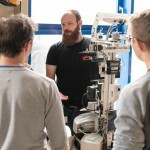 Day 2 of the RoboCup German Open: The team found effective solutions to some of the problems they faced and GRIPS won both games it played on this day, once even scoring 30 points. This tremendous result got us into the playoffs to decide whether we will be competing in the small or big final. Today is the third and final day of competitions at the German Open. 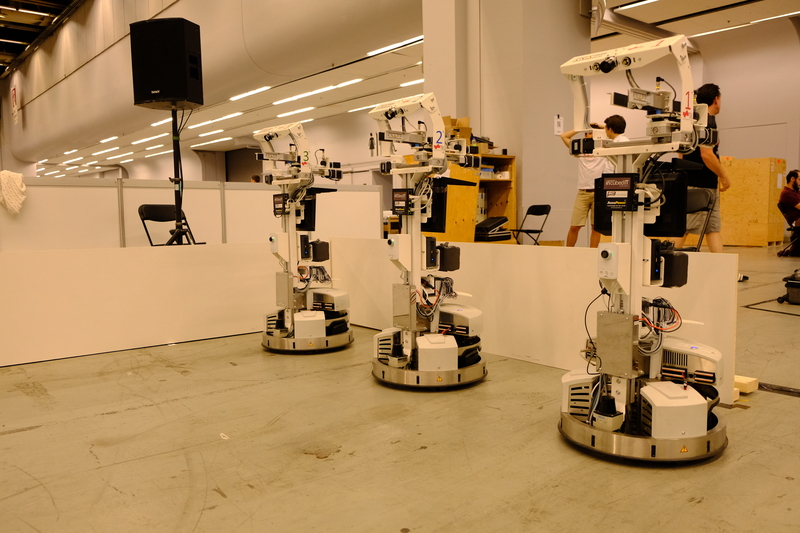 At 10 a.m., GRIPS will meet the French RoboCup Team Pyro in the final round of playoffs. This match will decide whether we will compete for 1st or 3rd place. Best of luck to GRIPS! 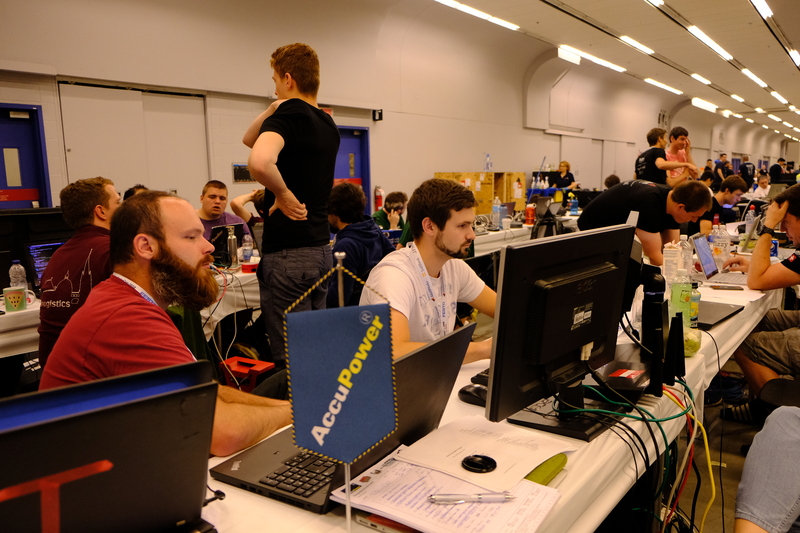 During the first day of the RoboCup German Open competitions, GRIPS faced some challenges. 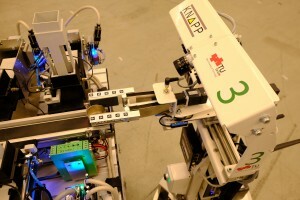 As this is the first time GRIPS participates in this competition, it is mainly the unknown environment that poses problems. 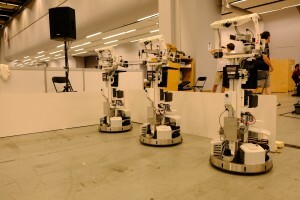 Our robots, for example, struggle with the uneven floor of the venue when moving across the field. Also, the lighting conditions differ considerably from those we are used to. As a result, the cameras had to be adjusted to the new circumstances. Our team members worked hard to overcome these and other challenges — with a remarkable result. GRIPS scored at least 20 points in every one of the four games it played on day 1 of the competition and won three by a large margin. What a tremendous success. 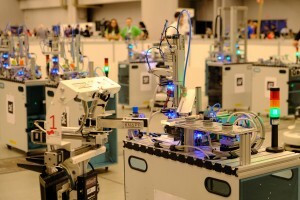 The schedule for day 2 and 3 as well as the results are available from RoboCup German Open Schedule. Congratulations to our team members and keep up the good work! 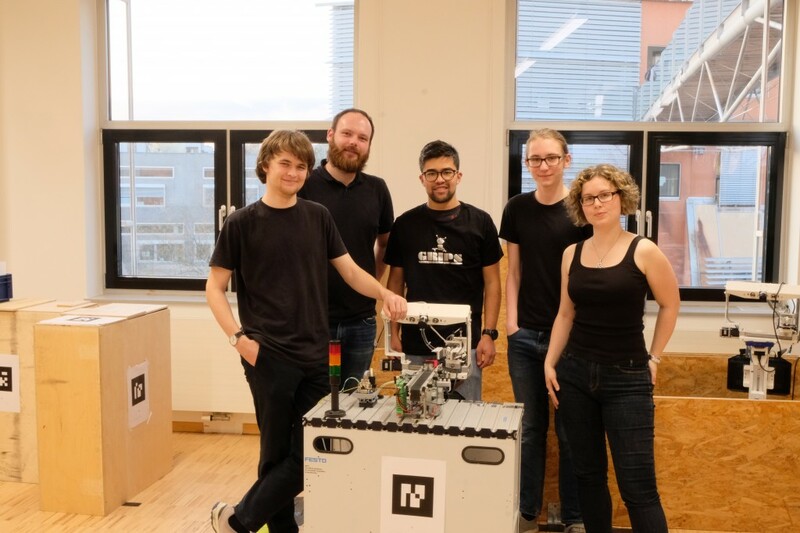 Today Stefan Krickl, Thomas Ulz, Ivan Martin, Leo Fürbaß, and Sarah Haas (from left to right) make their way to Magdeburg, Germany, to represent GRIPS in the RoboCup German Open 2018. Participating for the first time in this competition, GRIPS will compete with five other teams from Europe and Asia in the Logistics League. 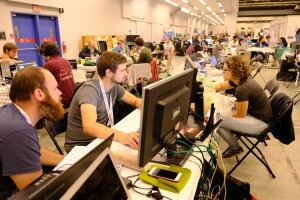 After a three-day preparation phase, the competitions themselves will take place from April 27 to April 29. Go GRIPS!